There was a period of about 3 months back in college when Wittgenstein was all I could read (this essay emerged out of that period). His genius had infected me. I was sure his solutions had dissolved all my philosophical problems (indeed, I thought he’d cured me of philosophy). Of course, back in college, I had only just begun to construct philosophical problems for myself. At that point my collection was minuscule. The most confusing of my two or three problems was the so-called “mind/body” problem–a problem that Wittgenstein’s words seemed to be working therapeutically upon like a sore knot in my semantic musculature. In time, however, I came to learn of many new problems… like the “body/body” problem, and the “zombie” problem, and of course the “I/me” problem… Wittgenstein was never refuted or surpassed for me, far from it! But his solutions began to fade from memory as unforeseen philosophical problems continued to multiply. Even if Wittgenstein did in some sense solve the “mind/body” problem for me, the new problems which emerged began to seem less like stiff muscles and more like the growth of new appendages or new organs of perception. This is very interesting. 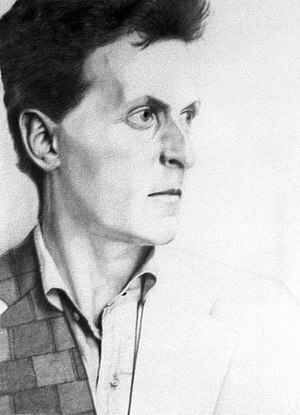 I am planning to study Wittgenstein thoroughly next year when I will start my PhD. I am a linguistics student and this quote : “the limits of my language are the limits of my mind” has deeply marked me. I am interested in delving deeper into this by doing comparative linguistics and looking at how language influences mind. Sounds like a very interesting project! What, pray, is language, anyway? Or what do you think it is, at least? That’s a very hard question to answer. For my research, language will be defined as a system of communication and symbols that we use to represent different aspects of existence. What do YOU think language is? Yes, definitely a hard question! For my part, I don’t think language has all that much to do with communication. Plenty of creatures communicate with one another and we don’t seem to want to call that language. Plus we spend at least as much time talking to ourselves as we do sharing words with other people. So the core of language would seem to be something other that communication. A deep mystery! If I had to wager, I’d say self-reference is more essential to language than communication. What do you mean by self-reference being more “essential to language than communication”? I would ask the same! what is self-reference? Sounds good! enjoy your sailing!! So when I said language is more about self-reference than communication, I was trying to be provocative more than anything else (surprise surprise); but I still want to follow the same provocative course of thought… I want to really challenge the common sense idea that language is just a tool, just the mind’s way of getting its thought communicated. I agree it’s hard not to think of language this way. The alternative understanding of language as self-referential will remain paradoxical until the old paradigm of separate minds rationally exchanging information with one another across the uncanny gaps cut open between one person’s mouth and another person’s ears has been seen through. If we accept that there are no such things as separate minds to exchange information between the sensory organs of their physical bodies, but that instead whatever we do when we “do language” with one another has more to do with what the self (or the genius) of language wants to express than it does with “my” mind or “your” mind. When we do language with one another, we are not separate minds communicating across a series of gaps (as if meaning traveled from “in” me to “out” there, and then from “out” there to “in” you). I’m more inclined to think that when we do language together, we participate in or commune with the creative force of logos, with the divine mind itself. At least this is what is aways possible whenever we do language together. Sometimes we speak in a more economic way, when we are interested in a monetary exchange of some sort rather than in a sacred communion. But exchange is not the essence of language. Co-creative expression is the essence of language. What about deconstruction? You are talking about “the creative force of the logo” are you saying that language is a system over which we have no control and that we are, when speaking, entering a process which is self-governed and we become therefore agents of that process? But what if this “system” is a made up one? It’s based on arbitrariness. Well, it sort of makes sense though, if we see it this way. It’s a system made up of random relationships over which we have no power.